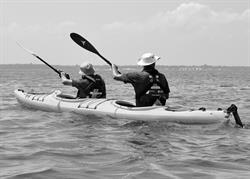 WESTHAMPTON BEACH, NY--(Marketwired - July 15, 2016) - In the quiet, early morning hours of August 2, ten developmentally-disabled New York athletes will push off from the southern Long Island shore on two-person sea kayaks. 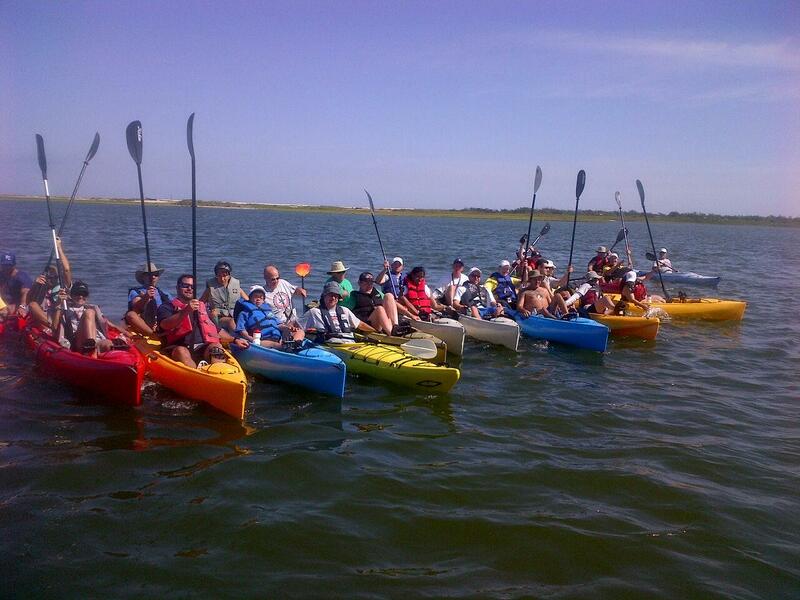 Departing from the summer resort community of Westhampton Beach, the athletes and ten accompanying able-bodied coaches will paddle 16 nautical miles in two days as participants in national non-profit World T.E.A.M. Sports' annual Coastal Team Challenge. First held in the Pacific Northwest in 2009 with adaptive military veterans from the United States and Canada, the Challenge was redirected in 2014 to the Long Island coast. With non-profit partner Independent Group Home Living Program, the Challenge provides an exceptional opportunity for these civilian athletes of all ages and backgrounds to experience the outdoors and the spirit of adventure. 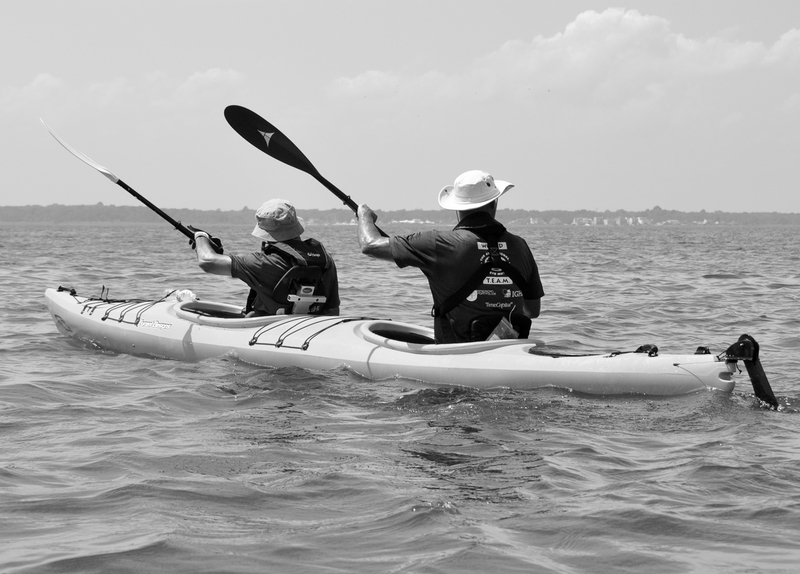 Sponsored by TimeCapital Investor Advisory Services and American Portfolios Financial Services, Challenge athletes will spend a night camping at Smith Point before continuing to Patchogue the following day. Paddling the sea lane, the athletes will undertake the many challenges of open water boating. As teams, the adaptive and able-bodied athletes will experience rising and lowering tides, fast-moving summer rain showers and wakes from passing boats and ships. Close teamwork and cooperation between the athletes will be critical to their successful completion of the course. "This is a great event where World T.E.A.M. Sports teams up with Independent Group Home Living Program that cares for young adults with special needs," said George Taborsky, co-director of the 2016 Challenge. "These athletes work together to overcome the many different obstacles that may encounter over the two day event." Using Hobie two-person Mirage Oasis kayaks that allow athletes to paddle or pedal, the teams will remain within sight of the coast throughout their coastal journey. Periodic rest stops staffed by volunteers will keep the athletes fresh, fed and hydrated. In addition, power boats will travel alongside the teams to provide immediate assistance for any emergency. Arriving at Patchogue in the late afternoon of August 3, the athletes will join family and friends in an ending dinner and celebration. Though participating athletes will complete their coastal journey with a sense of accomplishment and pride, families of athletes, volunteers and the public will see that athletes with disabilities are capable of remarkable achievements. In providing an opportunity for these athletes to excel, World T.E.A.M. Sports continues a long legacy of inclusive sporting events. Sponsors and partners for the 2016 Coastal Team Challenge offer valuable support for the event, from sponsorship funding to logistical support to volunteer assistance before and during the event. Independent Group Home Living Program (IGHL) is a not- for-profit agency in Eastern Long Island dedicated to the enrichment of the lives of people with intellectual disabilities. Today, IGHL operates over 50 group homes and day habilitation centers, as well as a 60,000 square foot Opportunity Center. A Registered Investment Advisor based in Port Jefferson Station, New York, TimeCapital Investor Advisory Services manages client portfolios directly and in conjunction with a network of specialized money managers. The ability to draw on both internal and third-party investment management resources as desired provides a strong foundation for diversification - a hallmark of TimeCapital's investment methodology. Headquartered in Holbrook, N.Y., APFS is a full-service, independent broker/dealer and member firm of FINRA and SIPC, offering a complete range of financial services, including personal financial and retirement planning, securities trading, mutual funds, access to investment research, long-term care planning, insurance products and tax-free investing. Fee-based asset management is offered through its sister subsidiary, American Portfolios Advisors, Inc., (APA), an SEC Registered Investment Advisor. Both entities, along with technology division American Outsources, LLC (AO,) collectively reside under the legal entity American Portfolios Holdings, Inc. (APH). Full-service securities brokerage is available through a clearing firm relationship with Pershing, LLC, a BNY Mellon firm, the securities of which are held on a fully disclosed basis. The company currently serves 791 independent investment professionals located in 356 branch locations throughout the nation. World T.E.A.M. Sports is a 501(c)(3) not-for-profit organization chartered in North Carolina and headquartered in Holbrook, New York. Since its founding in 1993, World T.E.A.M. Sports has organized athletic events for disabled and able bodied citizens - mountain climbing, white water rafting, biking, and more. Four things always happen at our events: (1) Disabled participants build self-confidence and physical fitness; (2) The disabled provide a role model for other disabled citizens, encouraging them to take up physical activities; (3) The disabled become a moving inspiration to other participants and to spectators when they see that disabled individuals can meet challenges beyond anyone's imagination; and (4) The disabled and able-bodied participants learn to work as a team to overcome those challenges. World T.E.A.M. Sports changes lives through sports. 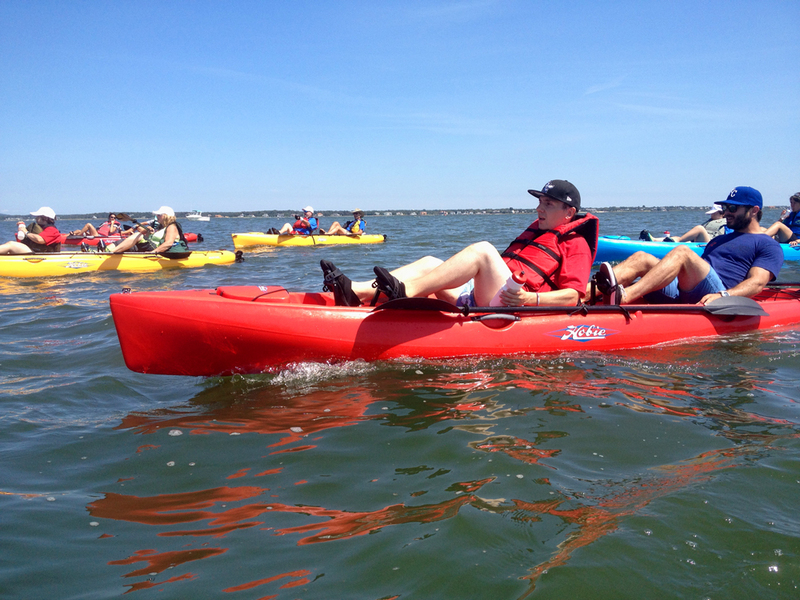 An inclusive team consisting of a developmentally-disabled athlete and an able-bodied coach paddle at the 2015 Coastal Team Challenge along the Long Island coast. Photograph by Van Brinson. 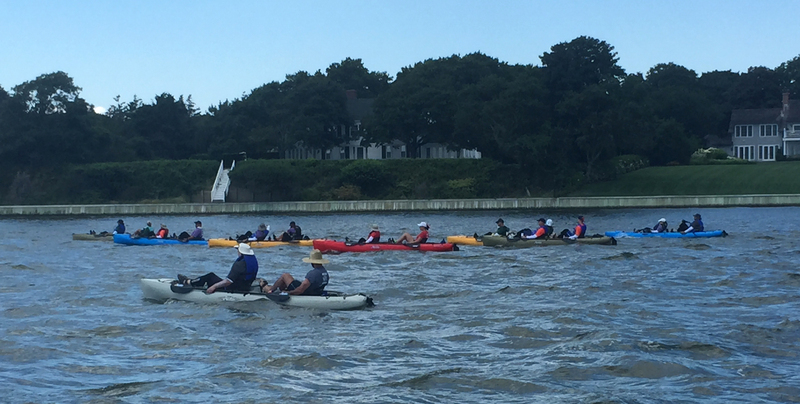 Teams paddle not far from the Long Island coast on the second day of the 2015 Coastal Team Challenge. Photograph by Van Brinson. 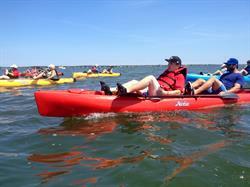 Sea kayakers at the 2014 Coastal Team Challenge in New York. World T.E.A.M. Sports archive photograph. 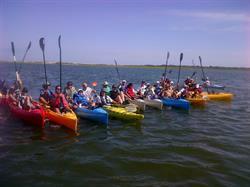 2014 Coastal Team Challenge athletes line up for a photograph along the southern Long Island, New York coast. World T.E.A.M. Sports archive image.